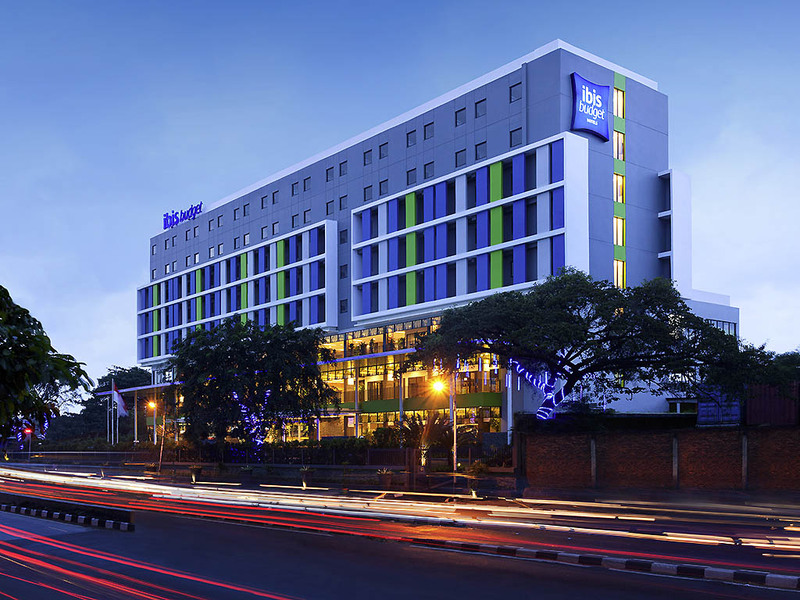 Located only 30-minute drive from Soekarno Hatta International airport and close to the biggest shopping mall Taman Anggrek, ibis budget Jakarta Daan Mogot is the largest ibis budget hotel in Jakarta. The 195 rooms feature the new ibis bedding and the hotel is designed to deliver essential comfort at a budget price. There are meeting venues on the third floor, which can cater to both business and social events. Check in and check out is fast, and simple. Room's AC works perfectly, clean bedsheet. Toilet closet cover need to change, feels dirty but actually not, it's because of top layer chip off. Shower water pressure too weak. 24/7 store will be better. Bathroom, need a place to put toiletries (soap, shampoo etc). The service is good. For short staying its OK. Not suitable for family with small kids. The cleaness still have to improve. Breakfast also have to improve. Everything was nice and smooth! All staff were very professional, polite, and co operative, very helpful when needed. Flawless customer service overall. Hotel noicy outside (train) and inside (costumers). I Had to call security 3 times before coming. The hotel has good beds and pillow, has gym and function hall. Nice ambiance at ground floor and has sundry shop on the same floor. Pesing Train Station is just behind the hotel. GOJEK & Grab bike abundance nearby. I was looking for the room with front view iso back view even in my second time they said there were not available. If you got the room with back view there are train station behind the hotel and its making you couldn't sleep at all. well, I booked for 1 night and it's supposed to be a non smooking room, but I couldn't have it coz I had late check in (already made a call in the afternoon). Not only that, it's beyond expectation. It was really good when i saw it in the picture on the website but the reality is not really good, Bathroom was separted an smelly. The bed was really small for a single bed. This is the first time i saw that kind of bed, anyway. No clean enough, broken phone, noisy of the traffic. The room was small , little bit noisy from oit side. Location good and over all is good. Everything is good, actually quite nice for budget hotel, love the sitting smoking area, minimarket and the gym on the lobby outside, the location also great, but charge Rp 15000/day for parking space i think it's too much, it should be free for the guest hotel. it was a good experience to stay at Ibis Budget Daan Mogot, with good price to facility ratio. but one thing that bother me was a leakage in the toilet area, must be fixed immediately to give staying guests better experience.